An unfortunate part of being a woman is dealing with unwanted skin conditions. While the good news about cellulite is that it doesn’t impact your health, the bad news is that it can leave your skin looking worse than you would like. Here is how to recognize cellulite and know what to do about it. Cellulite is basically just fat deposits under the skin, which over time can result in a lumpy, uneven, and dimpled appearance. To recognize cellulite, you can look for a texture akin to cottage cheese. Almost all women will develop cellulite at some point in their lives. It’s really an inevitable part of being a woman. Cellulite isn’t dangerous, but it can leave some people wanting a change. After all, it’s always nice to have smooth skin. While diet and lifestyle can play a part in the development of cellulite, it really comes down to genetics. Unfortunately, most people will develop cellulite because they are pre-dispossessed to do so. This means that despite our best efforts, there is little that can be done to prevent cellulite. Cellulite is most often found in thighs, hips, stomach and buttocks. However, it can also be found in the neck, back and upper arms. Wherever fat deposits can form, cellulite can be found. There are actually 4 different levels of cellulite. It can be hard to recognize cellulite because it often forms at the back of thighs, which aren’t always looked at. If you want to try to see what level of cellulite you have, you can use a mirror or ask someone to help identify what your skin looks like. Cellulite can be treated. One method is velashape, which is a low-impact treatment. It is not painful and can actually be quite relaxing. Velasphape employs 4 different components. This includes radio frequency, infrared light, vacuum, and tissue manipulation. It targets areas with cellulite and the felling is akin to a massage. It is recommended to have multiple session of velashape, but after just one, the results will be noticeable. The areas with cellulite will be smoother and lumps and bumps will start to be reduced in size. It’s always a nice feeling to see something work so quickly. Cellulite can continue to form, which is why subsequent treatment sessions are recommended. Once the current cellulite has diminished, future appointments should be booked to ensure that cellulite doesn’t have a chance to grow and spread too much. Pimples are supposed to be a teenager’s dilemma. Unfortunately, adults still get acne, which can lead to a lot of moaning about how unfair life seems to be. If you find yourself with acne, there are many ways to treat it. It is always a good idea to understand the root causes of any health issue, to better understand your body. Read on to find out why adults still get acne. Being an adult is stressful. And a side effect of stress is acne. Stress changes our body makeup, and acne is a side effect. Stress can also lead to indulgent eating, usually of the sugary and fatty kind, which can also result in acne. If you find yourself breaking out during a stressful time in your life, try to take a breather. Get out and exercise more to better regulate your moods. When you think about reaching for that second chocolate bar, try some fruit instead. It can be hard to get out of a comforting rut, but if you do, your whole body will be healthier. Food allergies and food sensitivities are on the rise and acne can be an unfortunate side effect. Even if you’re not allergic to food, you can be sensitive to it. This means that while certain foods can still be eaten safely, then can actually negatively impact your body. In particular, dairy sensitivities have been linked to an increase of acne in adults. If you are worried about the amount of acne you have, try to keep a food diary. This way you can see if there are any correlations between certain foods and your skin. This doesn’t mean that you need to stop eating those foods. But, you could try to cut down on them or find alternatives. If it is a link to dairy, try almond or soy milk and see if there is a difference. After you give birth, your body is a giant mess of hormones. As a result, a lot of changes can happen. Unfortunately, there are both positive and negative changes. A lot of women develop acne post partum as hormone levels decrease rapidly. While acne should disappear as hormone levels stabilize, it’s an unwelcome reminder that your body has a mind of its own. 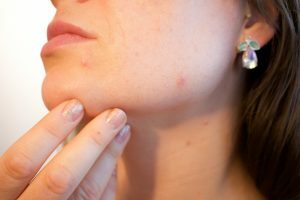 If you’ve looked at your diet, exercise regime, and personal life, but still aren’t sure of a reason for your acne, then it might be a deeper issue. There are many hormone-related health issues that can result in acne. If you feel like your acne is just not going away, then be sure to consult a doctor. They can give you more in-depth information and check your internal health. The body uses exterior signs to let you know that something is happening interior, so stay in tune with your body. A chemical peel is a great way to make your skin look younger. The name can sound a bit scary, but there is science behind a chemical peel, which is why it is effective. Here is how a chemical peel works. There are many ways to keep your skin looking and feeling young, but few are as beneficial as a chemical peel. By using a chemical agent, the bonds holding dead skin cells together are loosened. After this chemical reaction takes place, those dead skin cells can be removed, which leads to healthier, fresher skin. A chemical peel is actually not as invasive as you would think, given the name. It is a procedure done countless times. It is best, however, to see an expert technician who can perform a chemical peel. Those done at home are often not as effective, and there is a small chance that the chemical ratio is not performed correctly. Those that have a chemical peel often notice such a chance that they continue to go back for more. This is great as the benefits of chemical peels really come out in multiple treatments. Chemical peels are great if you want younger, smoother looking skin. In particular, chemical peels are great for removing hyperpigmentation which results in darker looking areas on your face. While harmless, hyperpigmentation can make someone look both older and younger, which not many people want. Other skin issues that chemical peels work on include rosacea and melasma. Rosacea is when your skin has a patchy red look to it. Rosacea can flair up in dry weather or after exercising. Melasma is when you have darker patches of skin, often brown or grey-brown. Melasma is usually a result of extra hormones in the body, due to birth control pills or pregnancy. It can also be a side effect of stress. Alpha Hydroxy Acid (AHA) is used in a chemical peel. It acts to lower the pH level of the skin to 3.8. AHA contains glycolic acid and is considered a superficial or medium peel. For best results, regular chemical peels should be schedules. This is because the skin is a living organism that constantly regenerates itself. It’s important to remove any dead skin cells on a regular schedule so that there is no build up. The skin is the organ in the human body and adults have about 8 pounds of it. It’s no wonder, then, that there are many skin ailments that we can come across over the course of our lifetime. Skin spots can be scary, especially if they develop quickly. Here are five common types of skin spots and what they mean. While skin tags can be annoying, thankfully they are harmless. They look just as you would think they do, judging by their name as they are tiny strips of extra skin. Skin tags often appear in areas where skin is rubbed against, such as inner thighs or around clothing such as bra straps. Because they are annoying, it can be tempting to simply cut them off by yourself. But please see a professional for removal. Sterile device and possibly some pain medication should be used. Acne, pimples, zits, whatever you call them, they usually involve flashbacks to your teenage years. While acne slows down in frequency as you age, it can still appear in your adult years. Acne forms when dirt or oil becomes trapped in your pores. They best way to prevent acne is to wash your face daily with a mild soap. If acne appears, it’s best to just let it be. Keep washing your face and try not to pop that pimple. If you do, there is a good chance it can become infected, leading to a more unsightly blemish. Eczema is best described as a condition with dry, itchy skin. It is common in children, but can also surface during adulthood. Eczema can be found anywhere on the skin, but is most common on the dace, scalp, or hands. Sometimes eczema can lead to blistering which can be quite painful. If you have allergies or asthma, you may be more susceptible to eczema. Thankfully there are many medications, both prescription and over the counter, which can be used to lessen the severity of eczema. Warts have a stigma around them, but they are common types of skin spots. They are often found on hands or feet and while many can forget they even exist, if they are on the bottom of your feet, can cause pain while walking. Warts are caused by the human papillomavirus and can be contagious, so if you come into contact with someone with warts, be sure to wash your hands afterwards. Warts can naturally go away on their own, and there also remedies that can be used with either medicine or freezing. Moles are definitely a type of skin spot that you want to look out for. While many people are born with moles, which are completely normal, if a new mole does appear on your body, be sure to check it out. Warning signs include moles that are raised in height and those that are oddly shaped. Pay attention to skin that is routinely exposed to the sun including your face and hands. Prevention is the best defense against moles, so be sure to over up and when it’s sunny and always wear sunscreen. If you are not sure about a new mole on your body, be sure to see a doctor right away. If caught early, many more serious diseases can be prevented. Skin rejuvenation is intended to combat damage caused by exposure to the sun, aging or other causes. Skin rejuvenation in Toronto involves various techniques but all are designed to address lines, folds and wrinkles in the skin as well as discoloration, blotchiness and other conditions. The best rejuvenation techniques also reactivate the skin’s natural defence mechanisms, spur greater blood circulation, aid in the production of collagen and vastly improve the texture of previously damaged skin. 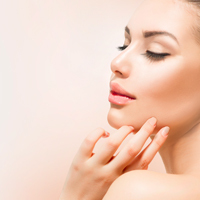 Laser Resurfacing – Resurfacing relies on lasers to address the structure of the skin beneath the surface. By re-activating collagen production and addressing lines and wrinkles in the sub derma where they begin resurfacing produces visible improvement while supplying the skin with the ability to better defend itself going forward. Different laser techniques are used depending on the particulars of the issue being addressed. Sublative Rejuvenation – At Leeza’s Laser Clinic sublative rejuvenation is one of our most popular and effective rejuvenation procedures. Sublative rejuvenation utilizes what is called “fractionalized bi-polar radio frequency energy” which is known to be extremely effective at promoting collagen production which, in turn, is essential to both the short and long term health of the skin. Chemical Peels – A chemical peel is a way to renovate the surface of the skin. As with any renovation the old must be removed to make way for the new. As such the chemical peel creates a form of controlled undoing of damaged surface skin and then encourages the production of collagen which enables new, healthier skin to take its place. There are several different chemical peels available that utilize different degrees of therapeutic intensity. Dermal Fillers – Dermal fillers, as their name implies, are solutions that are injected into the skin to fill lines, wrinkles, folds and other types of depressions in the skin. They are typically a gel derived from various forms of fat or collagen and usually contain hyaluronic acid; a natural compound that helps the skin retain moisture and appear plumper. Is Skin Rejuvenation an Invasive or Non-Invasive Procedure? In most cases skin rejuvenation is considered a non-invasive procedure. However, there are those who argue that, because many of the laser techniques employed focus on the internal structure of the skin, that it should at least be considered “minimally invasive”, rather than non-invasive. Chemical peels which do not use lasers but nonetheless cause short term damage to the surface of the skin are also sometimes categorised as minimally invasive. Leeza’s Laser Clinic is the Toronto area’s most trusted source for world-class skin rejuvenation therapy. No matter your age or the condition of your skin you will likely benefit from one of our leading edge procedures. Give us a call to learn more or to set up an appointment. When it comes to protecting you against the ravages of the sun your skin is your first line of defence. It’s also the part of the body that is directly exposed to the sun more than any other. As such the negative effects of excessive sunlight – as well as other environmental hazards like air pollution, freezing temperatures and wind – are most evident on the face. Over time the skin on the face begins to lose elasticity and becomes rough to the touch. 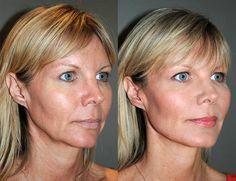 Folds and wrinkles form and become seemingly permanent features. The good news is you can fight back against the ravages of time and sunlight with comprehensive wrinkle reduction treatments from Leeza’s Laser Clinic. 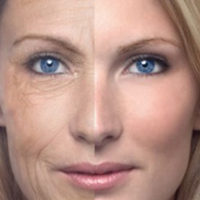 Leeza’s Laser Clinic is the place to receive gentle and effective wrinkle removal in Toronto. We have the experience and the technology needed to ensure your laser removal efforts meet with a degree of success that is simply not possible with OTC wrinkle creams or even Botox. We employ non-invasive and minimally invasive techniques that promote healing from within the various layers of the derma and leave you looking noticeably younger. Wrinkle removal at Leeza’s Laser Clinic is more than just a matter of firing up the laser and letting it do its job. All the technology in the world can only take things so far. It must be wielded by talented, highly trained technicians that know how to get the most from it. Our wrinkle removal specialists are some of the best in the GTA with years of experience using this technology for the benefit of our clients. They exhibit all the aesthetic judgment their profession demands and will never rush a treatment or accept “good enough”. They’re the reason so many of our clients come to us as referrals from past clients and the biggest reason our treatments are so much more effective than you’ll achieve using OTC wrinkle removal products. Wrinkle removal is an outpatient procedure that can take anywhere from 30 minutes to 2 or 3 hours depending on the size of the area being treated. In the aftermath of the procedure you will experience redness and tenderness which will dissipate over the following days. You will need to keep the treated area clean and will likely be advised to apply ointments which will help prevent scabs from forming. The entire affected area will typically be completely healed within 2 weeks and you’ll be fully able to enjoy your new, more youthful countenance. Leeza’s Laser Clinic is the place to go for state of the art wrinkle removal in Toronto. Our staff are the best in the business, our equipment is the latest and the best and our prices are less than you imagine. Don’t spend another day staring at your wrinkles in the mirror or wasting money on OTC “wrinkle remedies”. Make an appointment with the pros at Leeza’s Laser Clinic and say hello to a new you. How Many Sessions are Required for the Best Laser Hair Removal? Things that have a lasting effect on the way we look and feel typically take time. That’s true of dieting, exercising and virtually all kinds of cosmetic procedures from facelifts, skin rejuvenation and laser hair removal. Regardless of whether you’re treating an isolated portion of your face or a larger area of the body like the legs or back laser hair removal will require several treatments in order to lock in the permanent benefits. Rest assured however that laser hair removal when performed by the highly trained clinicians at Leeza’s Laser Clinic is well worth any and all time you invest in it. Hair growth takes place during several phases known as the Anagen, Catagen and Telogen cycles. The Catagen (shriveling) and Telogen (resting) phase of hair growth typically take 2 to 3 months to play out while the Anagen (growth) phase lasts 2 to 3 years. It is during this growth phase that hair is most responsive to ordinary laser treatments. However, at Leeza’s Laser Clinic we don’t practice ordinary laser hair removal. We feature state of the art elōs hair removal. The best laser hair removal in Toronto bar none. Elōs is the first and only hair removal treatment that combines light energy with radio frequencies to effectively target hair follicles during all three phases of growth. Where typical hair removal treatments aren’t able to focus all their light energy on the follicle the combination of light energy and radio frequencies used during elōs compensate for each other’s shortcomings. The result is a more effective removal process and smoother, healthier skin afterward. How Many Treatments are Required for Elōs Hair Removal? Most areas being treated with elōs technology will require 4 to 8 treatments. Although that is just an average and the exact number you require will likely vary. Each person’s hair is different and factors such as hair colour, hair thickness, the particular area being treated as well as the predominant growth cycle of the hair in that region will all affect the number of treatments you will ultimately need. Is Elōs Hair Removal Painful? What is painful to one person is no big deal to another. However, evidence and experience suggest that some patients will experience a degree of minor discomfort. With the operative word being “minor”. Some patients in fact will experience no unusual sensations at all during the entire process. The area of the body being treated also seems to play a role in whether not a particular person experiences discomfort during this type of treatment. Laser hair removal is an exacting process that requires the deft touch of the highly trained technician, the best available technology and time. If any of these 3 components are missing the final result will be less than satisfactory. To learn more about laser hair removal or to schedule an appointment for the best laser hair removal in Toronto call Leeza’s Laser Clinic today. When you’re looking for a place to get laser hair removal done, it’s easy to go for cheap deals. With more and more clinics opening up, competition is high, and many are using big discounts to tempt customers inside. These deals are often too good to be true. If you take one, you risk not only getting a sub-standard service, but experiencing health and safety issues, too. Read on to find out the true dangers of these offers. Burns – Discounted treatments are usually provided by technicians with insufficient experience. These means they’re more likely to make mistakes, which could result in painful burns. Skin Discolouration – Laser treatment works by targeting hair with dark pigments and making it lighter. However, if used incorrectly, it can have the same effect on skin. This means you could end up with skin discolouration that draws even more attention to the area than hair would. Only a well-trained, experienced laser technician will know how to avoid this. Skin Anomalies – Before any laser treatment, your skin must be checked for anomalies such as moles, skin tags, scarring, or abnormal pigmentation. Laser hair removal professionals in downtown Toronto know how to identify these anomalies and how to decide which areas should and shouldn’t be treated. This enables them to ensure you avoid any potentially adverse effects. Scarring – People get hair removal treatments because they want to achieve smooth, hair-free, perfect skin. However, if you get a cheap treatment, you could end up ruining your skin forever. Poor Customer Service – For many clinics, using cheap deals is a way to fill bookings quickly when they wouldn’t be able to do so otherwise. This is often because the low quality of their service means that they don’t get repeat bookings or customer recommendations. Extra Treatments – When you’re going through laser hair removal in downtown Toronto, you want to make sure you get the results you need in as few treatments as possible. However, if you go to a cheap clinic, you may have to do a lot more. This could be due to the low quality of the treatment and equipment, or simply a scam. Some of these clinics try to entice you in with a discount on a round of treatments, only to upsell by convincing you to buy more once you’ve already paid. You’ll be better off going to a clinic you can trust and paying for good quality treatments from an expert technician the first time around. Leeza Laser is a laser hair removal clinic you can trust. We use elōs treatment, which is proven to work effectively with hair and skin of all colours. We pride ourselves in offering a service that’s as gentle and pain-free as possible, while still providing the best results on the market. To try it for yourself, contact us today and make your first appointment. Are you tired or shaving, plucking and waxing? Body hair removal can seem never ending. It’s painful, time consuming, and expensive. Most frustratingly of all, hair begins to grow back immediately afterwards! However, you can put a stop to it with laser hair removal. With this treatment, you can say goodbye to stubble and hello to smooth, hairless skin. However, it’s not an instant fix. To get the job done, you’ll need to visit a clinic multiple times for treatment. In this post, we’ll tell you why. Here’s what you can expect throughout the different stages of laser hair removal. The First Session – After your very first session of laser hair removal treatment in Toronto, you’ll notice that hair falls out and start to become smaller. The amount of hair that falls out will depend on the area of the body that is treated. Regrowth – Laser hair removal isn’t an instant process. It takes multiple sessions to stop hair from growing back together, but once it does, it’s permanent. At first, hair will begin to grow back. This doesn’t mean that your treatment hasn’t worked. Look closely and you’ll see that it’s growing back finer and weaker than it did before. Regrowth Reduction – Part of the reason that laser hair removal treatment in Toronto requires multiple sessions is that hair grows back over stages in a three-step cycle. Most hairs are in the ‘active’ stage, which is the growing period. This stage lasts up to five years, after which the ‘catagen’ stage begins. Here, hair follicles begin to collapse in preparation for the ‘telogen’ stage, where hair finally begins to shed. After around four months of this, hairs usually begin to regrow. However, when they’ve been subjected to laser treatment, regrowth becomes less likely. Fewer and fewer hairs will begin to appear and eventually, growth will stop altogether. As different hairs will be in different growth stages, several laser sessions are required in order to catch them all. It’s Down to the Individual – On average, most people require around five treatments before becoming completely hair-free. People’s bodies respond the laser hair removal treatment in different ways. That’s why some people will require more sessions than others. Factors that affect the number of treatments needed include hair texture and thickness, age, skin type, and hormonal levels. Hormonal balance has a huge impact on body hair, especially in women. That’s why women suffering from polycystic ovary syndrome tend to have more body hair in unusual places. When you visit a consultant, they’ll take all of these factors into consideration and give you an individualized treatment plan. That way, you’ll know exactly how many treatments you can expect to have and when you will start seeing results. At Leeza Laser, we specialize in hair removal technology. Our certified laser technicians can help you get rid of body hair for good. Take your first step towards smooth, beautiful skin and contact us to arrange for a free consultation. Acne scarring can wreak havoc on your confidence. Thankfully, there are treatments available to reduce and even eliminate it. With so many on the market, you might not be sure which one to go for. In this post, we’ll go through each of them, so you can make the best decision for you. Here’s why other acne scarring reduction methods don’t measure up to laser treatments. 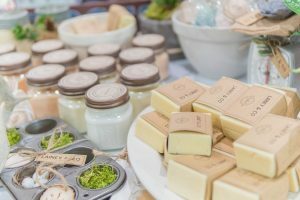 Creams – There is a huge market for creams which claim to help to reduce scarring and stretch marks. However, while creams can be effective in reducing acne itself, it does little to reverse the scarring it leaves behind. Scars are deep recessions in the skin, and creams don’t have the ability to fill them. They can improve discolouration, but that’s about it. Skin Needling – Surgical needling is one of the older forms of acne scar treatment. It involves the use of fine, short needles to repeatedly puncture the skin, stimulating collagen production. One of the disadvantages of this treatment is that it can require up to seven days of recovery time. For those who aren’t able to take a break from their busy lives, it’s not a suitable option. Fat Transfer – This procedure involves taking fat from other areas of the body and using it to fill the pits left by acne scars. The results you can achieve with fat transfer depend on the skill and technique of the surgeon who carries out the procedure, so you can’t be 100% what to expect. Also, it’s not a permanent fix. As the skin eventually loses volume, the treatment will have to be repeated later down the line. Dermal Fillers –This treatment involves injecting a synthetic solution into your skin in order to add volume and reduce scarring. Dermal fillers are not permanent by any means. Some fillers can last for a few years, but others only work for a matter of months. After that, you’re back to square one. Chemical Peels – Chemical peels can be effective in reducing acne scarring, but only when the scarring is mild. It won’t be effective for those who are looking to get rid of significant scarring. Dermabrasion – This is a form of exfoliation, which is carried out using a rotating instrument. Outer layers of skin are removed, leaving a more even tone and texture. However, it may not be effective for deep scarring, which penetrates several layers of skin. Since it’s only a light treatment, it may not produce any effects at all in some patients. There is also a risk that this treatment could cause further scarring. At Leeza Laser, we offer several different services to reduce acne scarring, including chemical peels and microdermabrasion. However, laser acne scar treatment is undoubtedly the most popular at our Toronto clinic. This is because it’s the most comfortable and the most cost-effective, and provides the best results. To see for yourself, arrange for a consultation.